Grouping accessories makes a statement. Placing them around the room individually simply doesn’t have the same impact, and often looks cluttered. 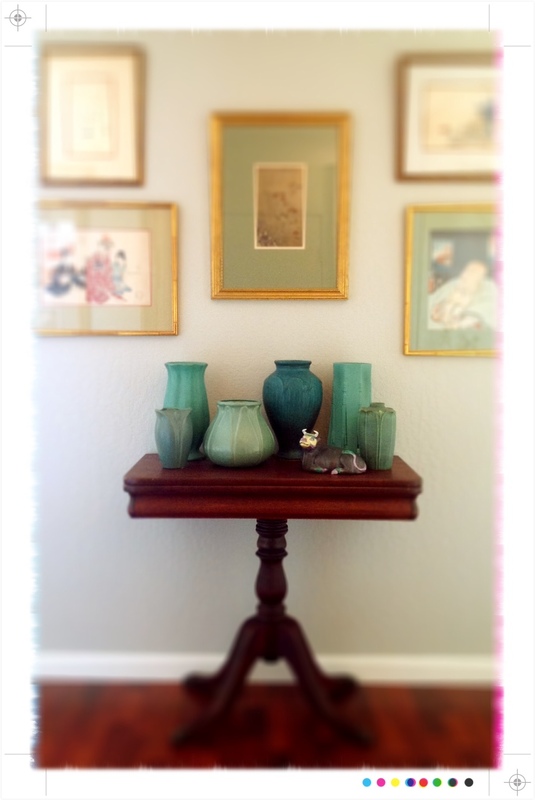 If you have a collection, or several items that are similar in some way, gather them up and display them together. When determining your arrangement an odd number of items is more visually pleasing than even. The number of things displayed shouldn’t overwhelm the space, so make sure you’ve chosen an area that’s the right proportion. Try putting your tallest piece in back and working forward with the smallest being in font. You can also group items by type, style or color. The most important thing to remember when displaying each item is that if you don’t love it, or it doesn’t have special meaning, then don’t include it! A well-curated collection can be a wonderful and interesting addition to any design.